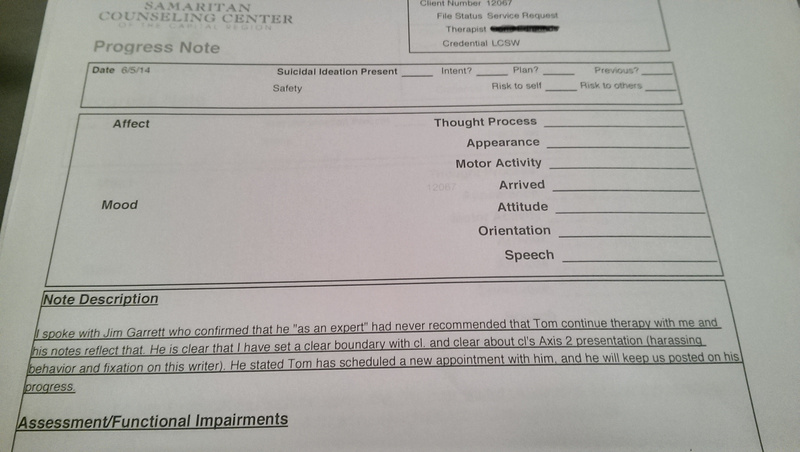 I was repeatedly and more and more coercively referred to AA the more I complained about it. In January we made an agreement that if I went to rehab, I could continue sessions with my ‘non-addictions’ therapist as long as she was in contact with the providers. I was hoping that I’d be able to show to her that rehab was all Alcoholics Anonymous indoctrination, and that the requirements would stop. AA was something I had already decided to quit after a year and a half of daily meetings, and I had already been paying the rehab referral specialist and outpatient rehab for about half a year. The bills were rolling in. It was depressing. 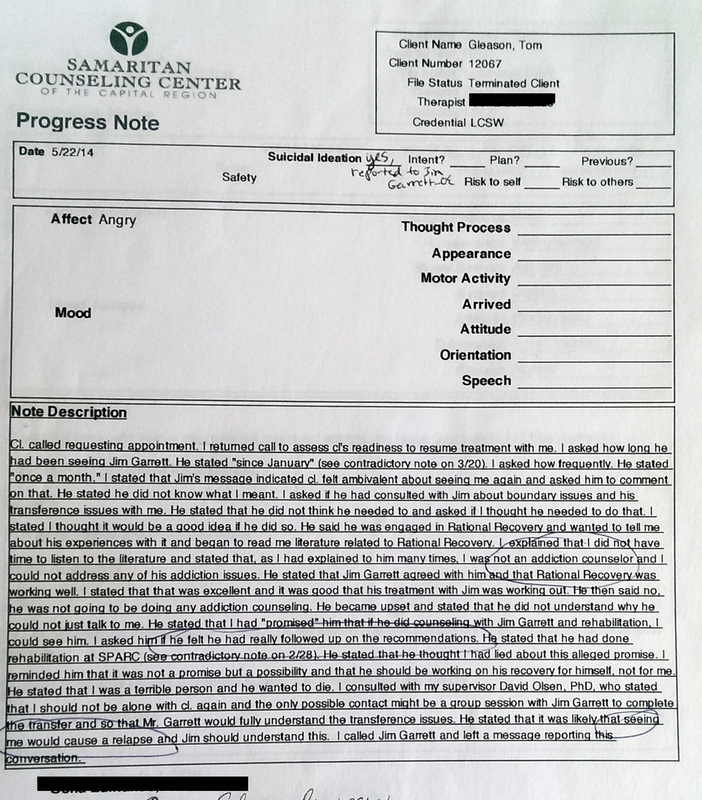 Imagine my surprise after six months of jumping through hoops, when I was not only not allowed to tell her what really happened in a session, but was BANNED from all communications with Samaritan Counseling! 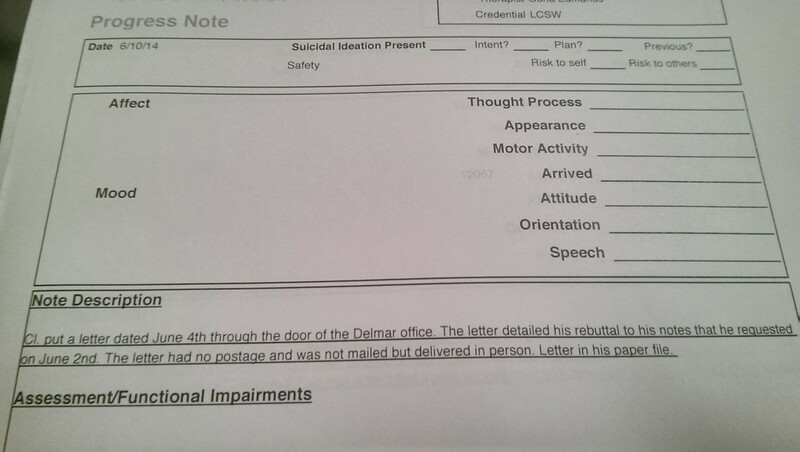 It seems they expected me to surrender to AA if they just kept manipulating me into ‘treatment’. How infuriating is that? And what is the relationship between these state licensed social workers and the 12-step industry? 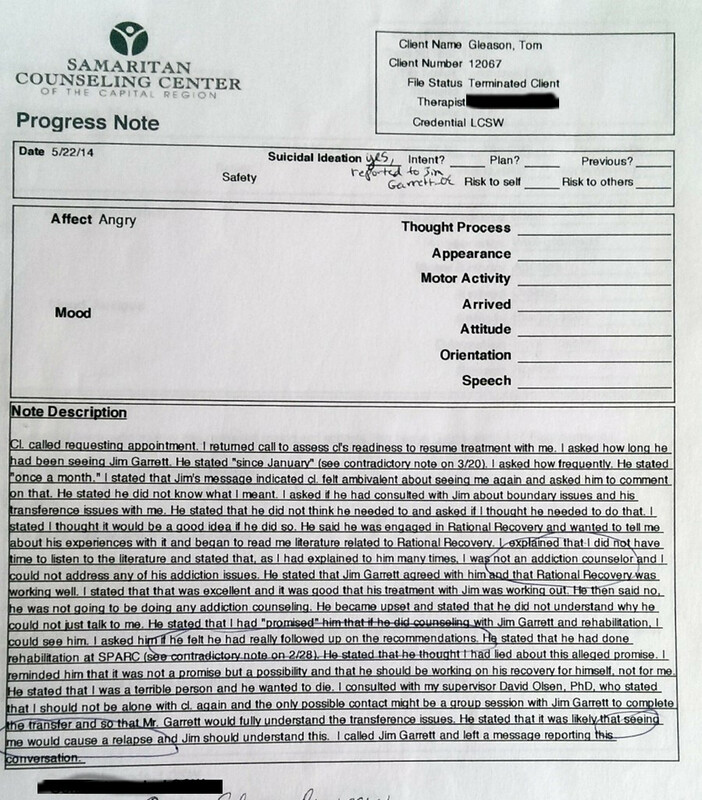 Why did James Garrett say he was ‘encouraged’ that I had an attachment to my therapist, if he was going to discourage her from having a session with me unless I paid him first, indefinitely? 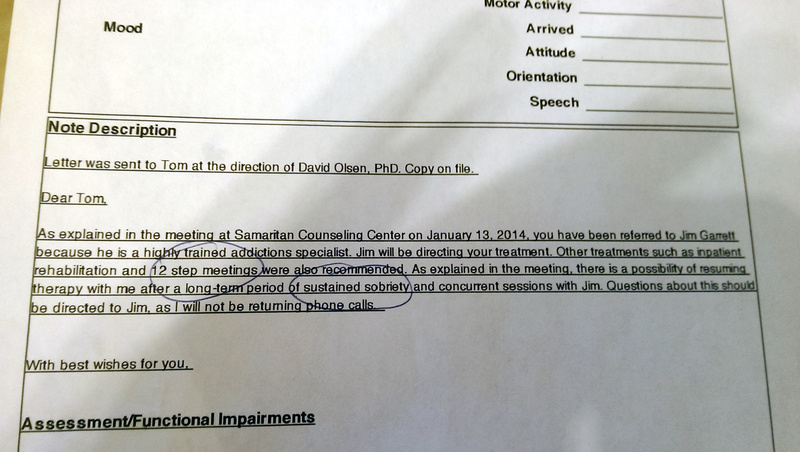 Why did David Olsen suggest I need 6-8 months of ‘sobriety’ before I could speak to my therapist? 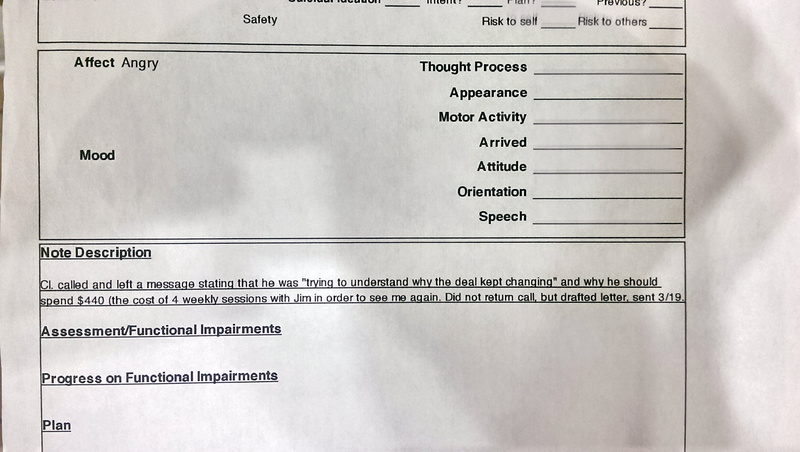 A couple of weeks later I was terminated from the outpatient rehab due to “unethical costs” for the recommended groups. Most people in SPARC are on Medicaid; it cost over $265 dollars to go to a single group per week and get the required drug test. I had complained to the counselor that I was only doing this so I could get back into therapy, and the $100 drug tests were pointless. On 2/28 I informed Oona Edmands in a phone message about frustration with addiction treatment and was ignored. Also found that none of the rehab treatment was covered by insurance. 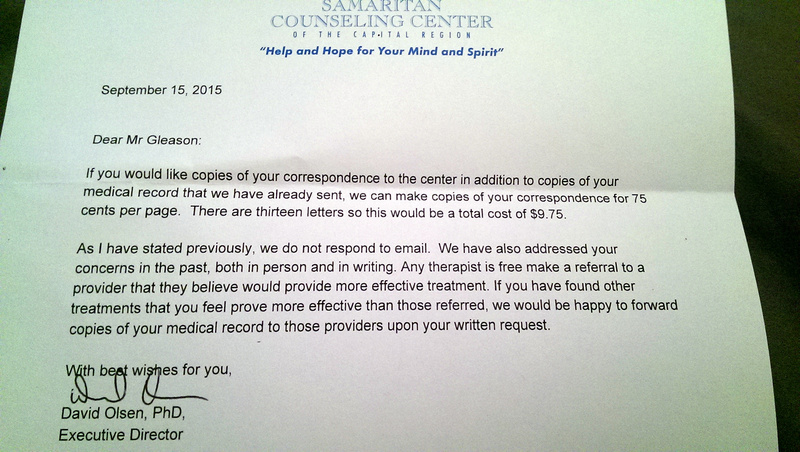 “Therapists have the right to their preferred mode of treatment” – David Olsen, Executive Director of Samaritan Counseling Center of the Capital Region, May 2014 in the phone call when I asked about how to complain. Yeah, and in that last session with James Garrett I told him I didn’t trust any of them anymore, and he told me ‘Maybe you can trust your higher power’. It took me a while to figure out who to complain to, but in the meantime I was so confused by being terminated and banned from any further contact for a letter I thought was very insightful and empowering for me. I was so confused by this in fact, that I checked myself into a psychiatric ward thinking I might be crazy. There, I was prescribed anti-psychotic drugs (by the doctor who told me I’m “fucked and need AA”) to ‘help me stop obsessing about it’. I eventually found the NYS Department of Education is the licensing board. But that didn’t go so well either…I didn’t realize at the time that Jenness Clairmont is on that board. I tried filing another complaint to NYS DoE and got a letter from the Director of Investigations at N.Y.S. 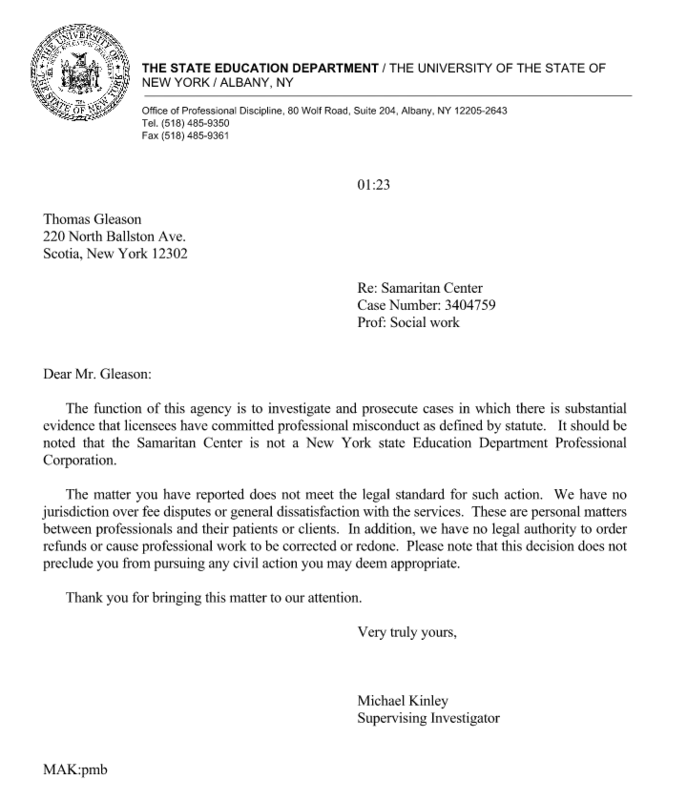 Education Department, Donald B. Dawson, saying the case was closed. When I got my records, after consulting with a lawyer about how to make a proper request and having my mother call the office manager Debbie to figure out how I could get my damn records, I found that all my complaint letters had been removed from my records. 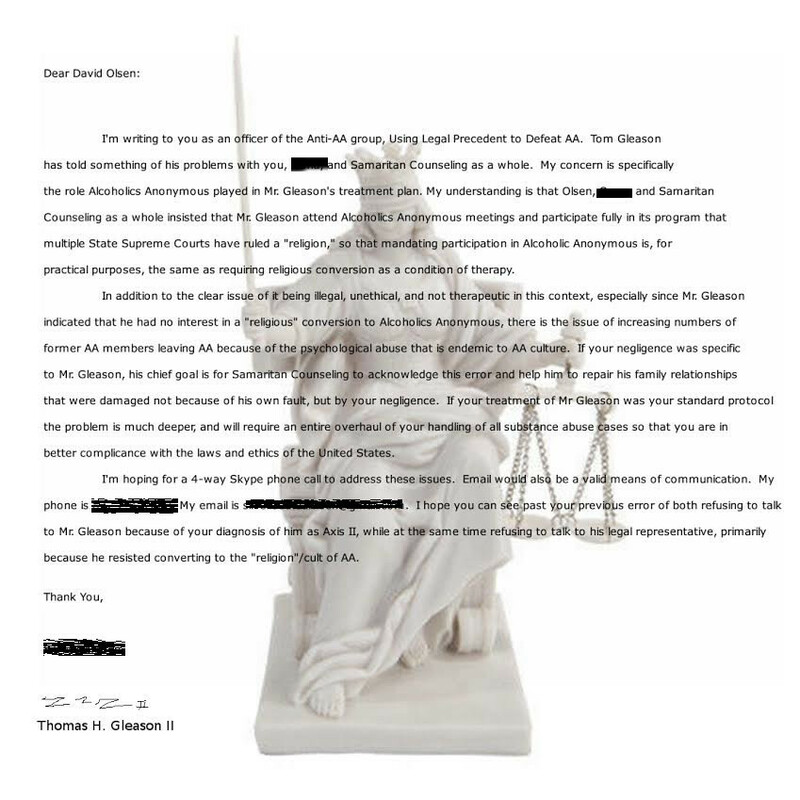 After many emails, I finally received a letter from David Olsen. 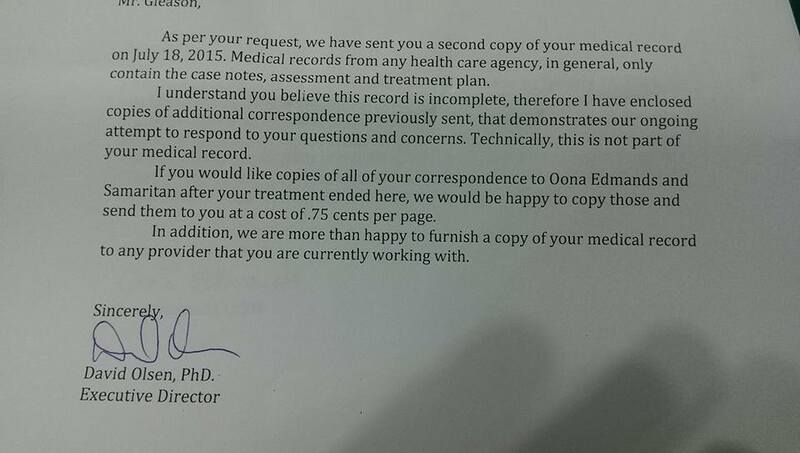 David Olsen said I could buy my complaints (that they never even bothered to address with me) for $.75 per page and they weren’t ‘technically’ a part of my medical record. Here he says that he enclosed additional correspondence previously sent, but that only included the original letter saying I could get back into therapy if I went to 12-steps, and the termination letter referring me to 12-steps. 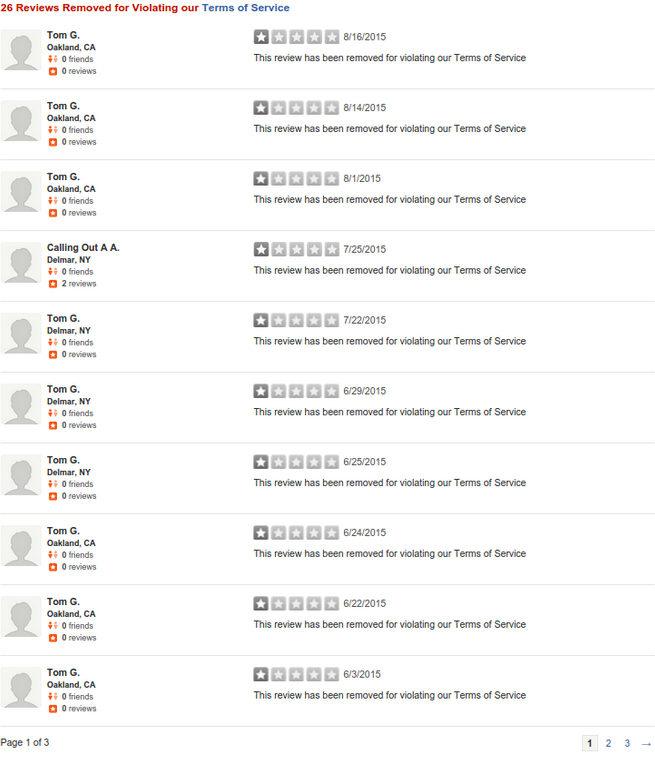 Throughout this time I was trying to write a Yelp Review but it kept getting deleted. So, still banging my head against the wall. 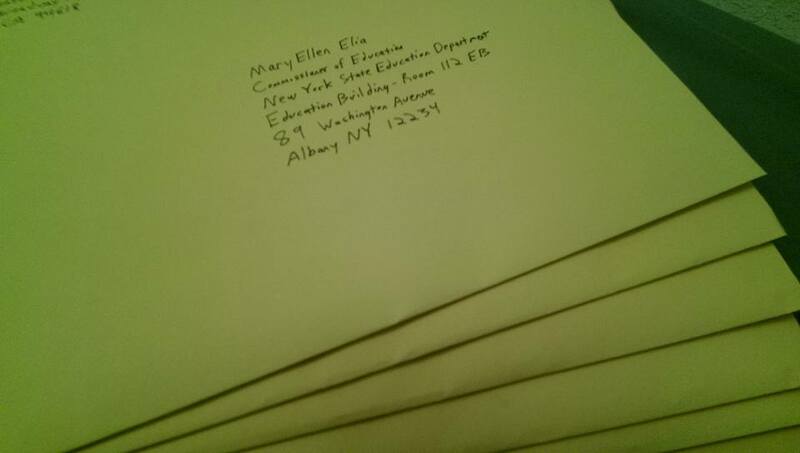 We are doing these letter campaigns for people in other states too, and will continue to gather more information and pass it along to the government agencies, health workers, and licensing boards whose proper course of action would have/could have been to address the problem, while documenting and archiving all the complete non-response online so everyone can see “How it Works”. 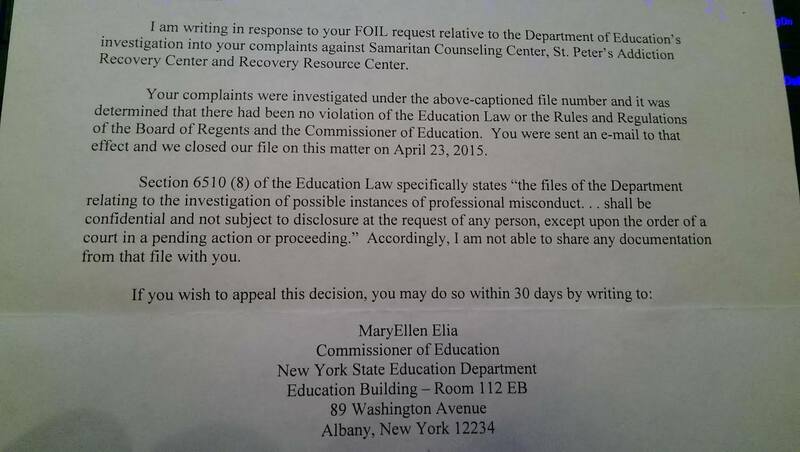 My third attempt to complain to the NYS Office of Professions was also closed in Fall 2016, due to Oona Edmands denying everything (which of course doesn’t make any sense, considering what is written in her own signed session notes). The investigator also said that they ‘don’t look into the AA thing’. 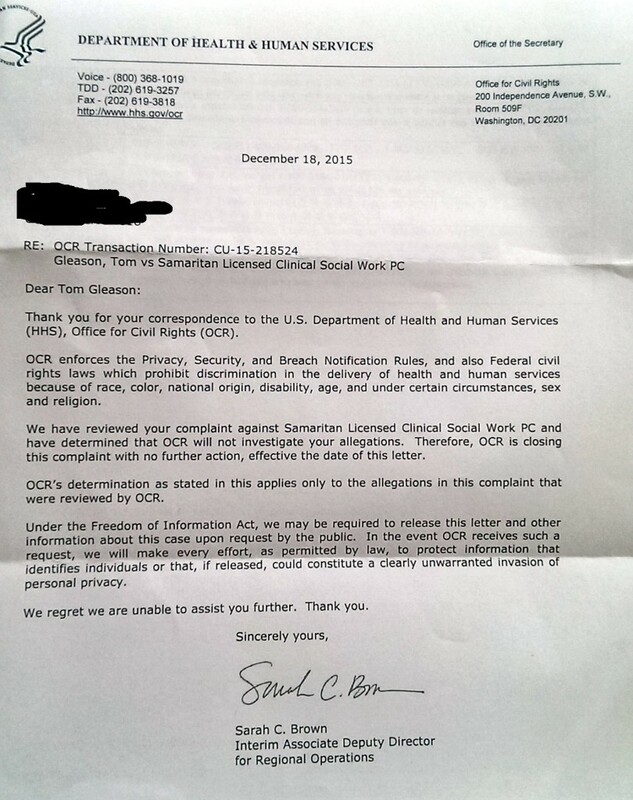 I reported this willful negligence to the NYS Justice Center as well as the NYS Attorney General and the US Department of Health and Human Services Office for Civil Rights and am awaiting further investigation.